It’s Super Bowl Sunday and All Amazon Echo Devices Are on Sale in the U.S.
Today will mark Amazon’s fourth consecutive year advertising Alexa during the Super Bowl. This year’s ads poke fun at the company and its partners’ penchant for adding Alexa to an increasingly wide array of devices such as microwaves, wall clocks, motorcycle helmets, and, of course, toilets. There may also be a reveal in the ads about an Alexa Beta Testing program which could be real or simply an extension of the joke. However, what Amazon has learned is that the hype around the Super Bowl is a way to drive attention and discussion around Alexa and its Echo smart device product line. 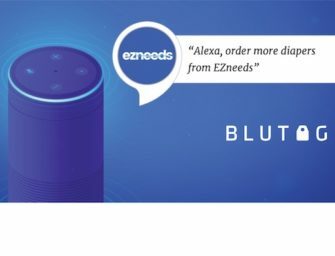 Amazon is no doubt expecting those conversations to lead to some visits to Amazon.com where consumers will be greeted by discounts across every Alexa-powered device in Amazon’s Echo arsenal and a few related accessories. Amazon heavily discounts its Echo product line items during the holiday shopping season and on Prime Day. Throughout the year, they also tend to discount individual products selectively. This is all based on a strategy to build market share around the Alexa ecosystem more than to drive revenue or profit since some of the devices are clearly sold at a loss when on sale. It is interesting that the company is now using the attention generated by the Super Bowl to turn it into a day to motivate purchase based on discounts. The effort is even marketed as “Game Day Deals: Limited Time Offers.” Here are some of the discounts Voicebot found on Amazon.com for U.S. consumers. It should be noted that Echo Auto is still an invitation-only program. A rumor suggests the sale price may be extended to all consumers requesting an invitation when the product officially goes on sale. Also, the Echo Dot Kid’s Edition comes with a year of Amazon’s Free Time Unlimited entertainment service designed for children. This is sold as a $2.99 monthly subscription for device owners after the first year. So, the discount means you essentially pay for the Free Time service and get the device for no cost. Enjoy the game today and the commercials. I will be interested to see if Amazon does indeed generate a few more sales of Echo devices simply because football fans are talking about its ads today.